Cameroon’s financial system is the largest in the CEMAC region. Access to financial services is limited, particularly for SMEs. Aside from a traditional tendency for banks to prefer dealing with large, established companies, determining factors are also found in interest rates for loans to SMEs being capped at 15 percent and being heavily taxed. As of 2006, bank loans to SMEs hardly reached 15 percent of total outstanding loans. Less than 5 percent of Cameroonians have access to a bank account. While the microfinance sector is consequently becoming increasingly important, its development is hampered by a loose regulatory and supervisory framework for microfinance institutions (MFIs). The banking sector is highly concentrated and dominated by foreign commercial banks. 6 out of the 11 largest commercial banks are foreign-owned, and the three largest banks hold more than 50 percent of total financial system assets. While foreign banks generally display good solvency ratios, small domestic banks are in a much weaker position. Their capitalization is well below the average of banks in the CEMAC region and their profits are close to 2 percent, compared to 20 percent for foreign banks in the country. This is partially explained by the high levels of non-performing loans, which reached 12 percent in 2007, leading to most banks holding large amounts of excess reserves as a percentage of deposits and large levels of unutilized liquidity. Recent signs, however, are encouraging. As of March 1998, Cameroon's fifth IMF program — a 3-year enhanced structural adjustment program approved in August 1997 — is on track. Cameroon has rescheduled its Paris Club debt at favorable terms. GDP has grown by about 5% a year beginning in 1995. There is cautious optimism that Cameroon is emerging from its long period of economic hardship. The Enhanced Structural Adjustment Facility (ESAF) signed recently by the IMF and Government of Cameroon calls for greater macroeconomic planning and financial accountability; privatization of most of Cameroon's nearly 100 remaining non-financial parastatal enterprises; elimination of state marketing board monopolies on the export of cocoa, certain coffees, and cotton; privatization and price competition in the banking sector; implementation of the 1992 labor code; a vastly improved judicial system; and political liberalization to boost investment. 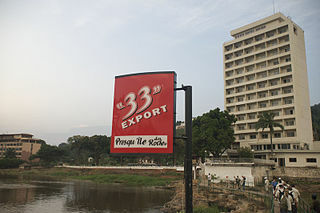 France is Cameroon's main trading partner and source of private investment and foreign aid. Cameroon has an investment guaranty agreement and a bilateral accord with the United States. USA investment in Cameroon is about $1 million, most of it in the oil sector. Inflation has been brought back under control. Cameroon aims at becoming emerging by 2035. This is a chart of trend of gross domestic product of Cameroon at market prices estimated by the International Monetary Fund with figures in millions of Central African CFA Francs. The government embarked upon a series of economic reform programs supported by the World Bank and International Monetary Fund (IMF) beginning in the late 1980s. Many of these measures have been painful; the government slashed civil service salaries by 65% in 1993. The CFA franc — the common currency of Cameroon and 13 other African states — was devalued by 50% in January 1994. The government failed to meet the conditions of the first four IMF programs. (PPP) 10.84 bil. 21.84 bil. 22.62 bil. 23.22 bil. 31.52 bil. 43.88 bil. 46.80 bil. 50.40 bil. 53.18 bil. 54.76 bil. 57.33 bil. 60.93 bil. 64.87 bil. 69.48 bil. 74.89 bil. 79.98 bil. 84.60 bil. 88.86 bil. ^ a b c d "World Economic Outlook Database, October 2019". IMF.org. International Monetary Fund. Retrieved 8 February 2019. ^ "January 2019 Global Economic Prospects -- Darkening Skies p. 112" (PDF). openknowledge.worldbank.org. World Bank. Retrieved 27 March 2019. ^ a b c d e f g h i j k l m n o p q r "The World Factbook". CIA.gov. Central Intelligence Agency. Retrieved 8 February 2019. ^ "Ease of Doing Business in Cameroon". Doingbusiness.org. Retrieved 24 January 2017. ^ "Cameroon Financial Sector Profile: MFW4A - Making Finance Work for Africa". www.mfw4a.org. ^ "Report for Selected Countries and Subjects". Retrieved 29 August 2018. 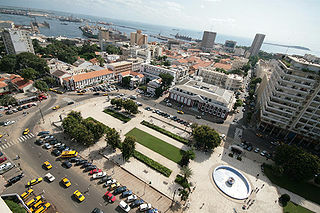 Wikimedia Commons has media related to Economy of Cameroon. Moldova is a former Soviet republic in Eastern Europe. It is landlocked, bordered by Ukraine on the east and Romania to the west. The Republic of Moldova remains Europe's poorest nation with per capita incomes half that of Albania.